The Legend of Zelda: Ocarina of Time 3D, which releases June 19th in the US, has been given a graphical makeover. The development team, Grezzo, has made vast improvements in several areas. One area is in the rendering of Dodongo from the second dungeon. From the start, one thing that you notice is the mouth of Dodongo. The new version includes an actual tongue. You can also notice that the inside of the mouth provides more detail and better textures. One can tell the top part of the mouth from the bottom part now. The teeth provide more realistic looking textures in the new version also. One last note about the mouth is that the outer edge appears less 'blocky' and are smoother. The next thing one might notice is the legs. The new version has more smoother textures and better muscle details. 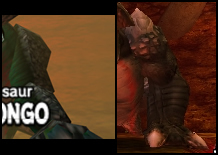 Dodongo's legs look less like they are made out of rocks now. This is a good improvement over the old style. If you look at the toes, you can tell that they appear more realistic then they did previously. The shoulders also appear more like ones you would expect from a dinosaur and are shaped totally different. They now appear jagged and powerful. The last thing one will notice is the belly. The new version has more smoother textures and better muscle details. The coloring is vastly more detailed and visually appealing then the old version. The part where the arms connect to the belly are also more detailed. They do not look 'spliced' together anymore and more detail has been put into making it look realistic. Overall, the new version of Dodongo has better facial features, textures, and muscle details. This proves to be a vast improvement over the original version and is something that many fans of the series will enjoy. 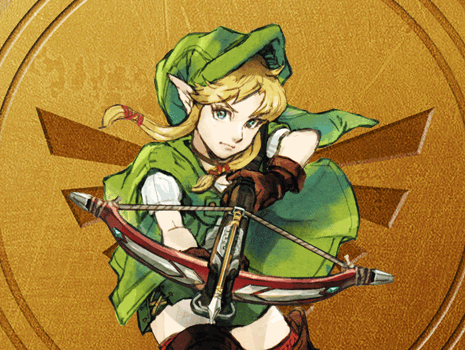 The new graphical style that Grezzo implemented is sure to provide a fresh feel for such a classic Zelda game and one that all of us here at Link's Hideaway are looking forward to playing. Got a comment or something to add? Then let us know on our Facebook page.